Practically raised on the law, Tom Kiley, Jr. is honored to be a third generation trial lawyer. Growing up seeing the difference his father and grandfather made in other people’s lives, Tom knew his calling at a young age. With the founding of Kiley Law Group, Tom Jr. joined his father, attorney Tom Kiley Sr., as a partner in the firm. 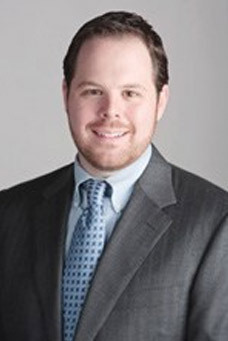 Demonstrating the same enthusiasm and commitment to the law as his father and his grandfather, Daniel P. Kiley, Jr., Tom has already established his own record, including six- and seven-figure results on behalf of his clients. Crediting his father with teaching him that everyone deserves a fighting chance, Tom Jr. has devoted the majority of his practice to doing everything within his power to ensure that big insurance companies play by the same rules that the rest of us are required to follow. Tom is humbled by the ability to help injury victims realize their courage to take a stand and refuse to let major corporations, insurance companies and negligent parties get away with their disregard for the safety of others. Each and every person deserves an equal opportunity to have their rights protected and their case heard. In getting to know how the lives of his clients have been adversely affected by a severe injury, Tom not only gives their story a voice, but amplifies it. Tom works with intention and in a timely manner to get his clients the results that they need by developing a reasonable and well thought-out strategic approach to each specific case. With composure and perseverance, Tom is relentless when going up against big insurance companies that refuse to pay, deny a claim or offer a lower settlement than what a claimant deserves. Tom’s knowledge of how insurance companies operate and dodge accountability sets the framework for combating these deceptive practices so that injury victims can receive the compensation they need for appropriate medical treatment and care as well as other expenses. When a person’s life is shaken by an injury as a result of someone else’s wrongdoing, the physical challenges they face are only the beginning. Emotional trauma, coping with a new way of life and financial stress are some of the many ways that a serious injury affects a person and his or her family. Tom helps injury victims and their families by putting their minds at ease and guiding them through the legal process. With each and every client, Tom is an attentive listener and works diligently to gather the appropriate evidence for building an effective case on their behalf. Knowing that the outcome of an individual’s case can forever affect their life and the lives of their family members, Tom takes obtaining successful results for his clients to heart. Protecting the rights of injury victims is one thing; being supportive, compassionate and determined while doing so is an entirely different caliber of legal service.